A lazy day drifted by where I was engaged in trimming a sprawling bush to reveal the bird stand almost engulfed in it, followed by packing my bag (for some reason I find it harder to pack for two weeks than for four months). I then made a three hour hot, sticky, journey down to East Grinstead to meet up with Niall and Liz. The air-conditioning on the train to London was as effective as an ice-maker in the Antarctic. The boredom was alleviated by a slow crawl into Stratford station. Here, the usual throngs of commuters were overrun by hordes of multinationals who were here for the Olympic Games. The station was already a colourful, buzzing hub, even though the games had not yet started. 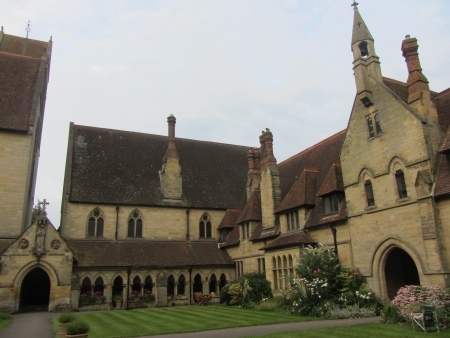 Niall kindly picked me up at East Grinstead station and drove me up through impressive grounds to the Old Convent where he and Liz had lived for the past 18 years. This was a splendid oasis situated in 14 acres of land, complete with swimming pool and tennis courts. When the religious order retreated, the complex served as St Agnes School, before being developed for residential purposes. Over a delightful meal, the couple discussed their plans to sell their "block" of the convent in order to move slightly further south. It seemed a shame to leave such a lovely setting, but I could well understand their reasons. I was enjoying a shower at 06:30, and had just got myself covered in shampoo and lather, when I heard a knocking on the bathroom door and Niall's voice as he barged in, muttering something about water cascading down into the room below. I immediately switched off the shower and poked my head out to see what the problem was. The water supply for this attic section of the dwelling was pumped, and the pump had developed a leak on the morning of our departure! I made the best of sorting myself out while Niall mopped up the deluge. Shortly after the interesting start to the day, Tom Hilditch, a young Pilot Under Test, arrived from Brighton. His bags were hastily stacked aboard Niall's car and we immediately headed off to Dover to catch our ferry. We arrived at the port to be confronted by a horrendous queue at the French border control point, which preceded the check-in. The chap at the check-in joked about how the French border control chaps always seemed to work speedily when the ferry traffic was light, but slowed to a snail's pace when the port was busy, and today was busy. A hearty breakfast on board was followed by a long haul down to Pareid, a small countryside village 40km west of Metz. The tedium of the journey was broken by a distraction at a fuel station in Luxembourg - a moment of hurt pride for Niall. A few hours later we arrived in Pareid and managed to unpack the vehicle before a storm unleashed its fury upon us. Tony and Philippa arrived shortly afterwards. They had just spent three weeks flying the balloon in Italy with a different crew before towing it up to our French location. 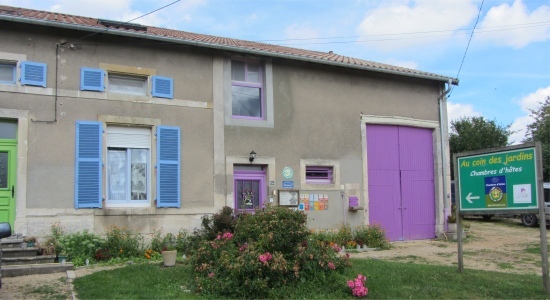 Our base was at Au Coin des Jardins, a large house which had been converted into a multiroom bed and breakfast establishment, which also offered limited self-catering facilities plus evening meals upon request. This provided ample room for the eleven of us booked in. Our hosts, Delphine and Romain Sorain, greeted us heartily on our arrival and made us feel quite at home. Pareid is located within the Meurthe-et-Moselle d�partement of France, conveniently within the ballooning region which plays host to the second largest balloon festival in the world biennially. The festival meets up at the Chambley-Bussi�res Air Base, a former United States Air Force base in France. I attended one of these big meets in 2007. We were meeting up in between the big meets, so we had the skies to ourselves. Delphine prepared an evening meal for us; many opting for Quiche Lorraine, followed by mirabelle and quetsche tarts, both specialities of the region. After the long drives, this was a delicious start to our break, and it gave us the chance to catch up on news. At 10pm, Ian and Laura Wadey arrived with their daughters, Amber and Hannah, accompanied by a family friend, Gaynor. 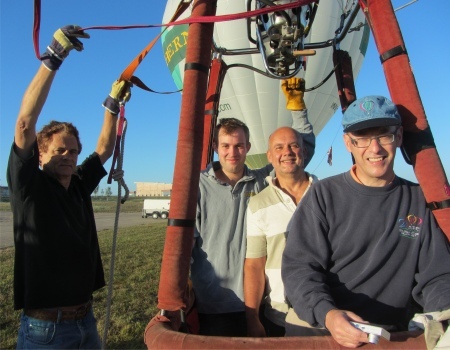 I had met the group before when we were ballooning together in Tuscany in 2009. By now there was a full blown storm outside; torrential downpour accompanied by a constant chorus of thunder and lightning. It took a while for the new arrivals to pluck up courage to empty their vehicle. Entertainment for the evening was, of course, watching the Olympic Opening ceremony on French TV. We were all suitably impressed and proud to be British. I was particularly impressed by how the French commentators took pains to explain the various themes, the industrial revolution being an example. The rains had ceased but there was too much wind for ballooning. After a leisurely morning, we drove to Mars-la-Tour for a spot of lunch at what Niall referred to as Gamling's Restaurant; the proprietor bore a strong resemblance to Gamling, a character in Lord of the Rings. An excellent three course meal was served up for 12 Euros per head. Suitably set up for the rest of the day, I went off to find the owners to settle the bill. To my amazement, I found Mr and Mrs Gamling sitting bolt upright fast asleep in the bar area. I politely coughed to stir them out of their slumbers, and smiled as they shot up vertically. What a sleepy small town this is. Evening was a meal of pizza and salad back at base, with ample supplies of beer and wine of course; it was France after all. 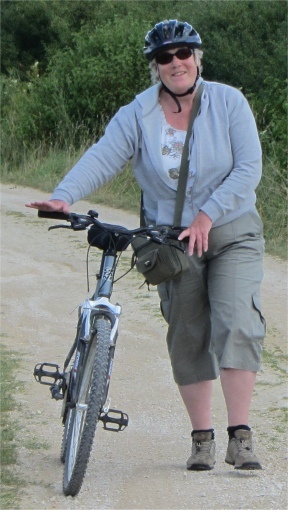 Another windy start to the day, so we opted to travel down to Lac de Madine, where we hired cycles, and leisurely made our way along the 20Km circuit around the lake. It was a lovely day for the tour; sunny with a cool breeze. The route wasn't too trying, and it wasn't a race, just a sheer enjoyable spin along gentle, winding tracks. We were not the only ones out on the Tour de Lac today. As we stopped to picnic, we subjected other cyclists passing by to a tirade of cajoling and cheered, "Allez! Allez! Allez!" Typical mad English folk abroad. It got even madder after the completion of our tour. As we sat on the grassy banks of the lake enjoying ice-creams, some members of the peloton lost it completely and resorted to blowing air over blades to grass to create loud squeaks. Judging by the stares we received from the locals, we were rapidly sliding into the status of certified. Still, it helps to be certified if you defy gravity in balloons. On our way back to base, we stopped off at Hattonch�tel to stroll around the ancient village which oozed charm from a bygone era. 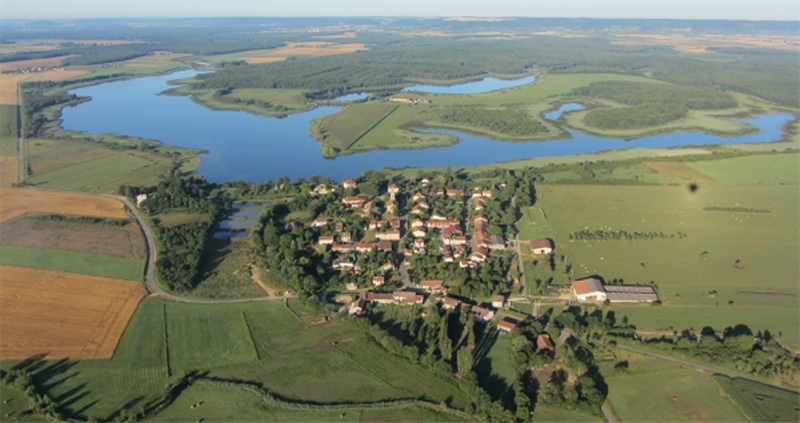 The village sits on the long wooded ridge of Cotes de Meuse, high up on a promontory overlooking the Plaine de la Wo�vre, and afforded splendid views across the level plains below. 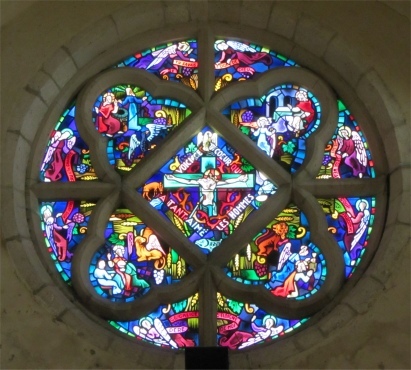 The site was fortified in 860 by Hatto, Bishop of Verdun, whose name it bears. The settlement became the chief stronghold of the bishops and also the location of their mint until 1546. In 1636 the retreating Swedes besieged and burnt most of the town. The original medieval castle was destroyed during World War I in 1918. 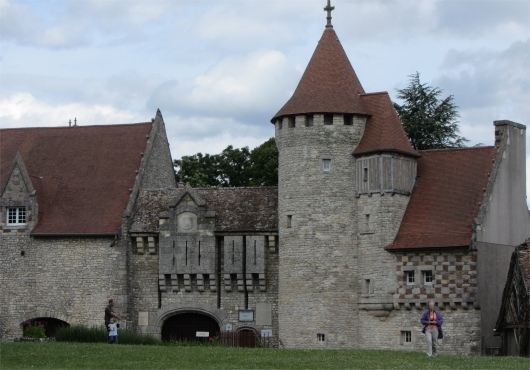 The site was entirely reconstructed between 1923 and 1928 by Henri Jacquelin, a Norman architect originally from Evreux, in the Neo-Renaissance style. The work was financed by the American benefactor Belle Skinner, who fell in love with the village. The actual Ch�teau d'Hattonch�tel is privately owned and has been completely updated with all modern conveniences while remaining true to the history and architecture of this important castle. The early evening saw Tony putting Tom through a stringent oral test on ballooning practices, while Niall and Ian stressed themselves over whether it was going to be flyable before dusk. A couple of helium weather balloons were launched to test the wind strength and direction at higher altitudes, and after much anguished debate, it was decided that the winds were not favourable. Nothing else for it but to retire to a pleasant restaurant in Hattonch�tel for sustenance. We were greeted by a pleasant morning, but still far too much wind for safe ballooning. Early in the morning Tony had driven Philippa to Metz. She had managed to obtain tickets for the Olympics water-polo event, and was getting a very early train. Philippa had never had any interest in the sport before, but was looking forward to experiencing the Olympic spirit. The rest of us had a leisurely breakfast before heading off down to Pompey, well almost all of us. Tony had decided to take an easy day since he had been up since the crack of dawn. Our target was an adventure park situated on a hill just outside Pompey. Here, a wooded area was strewn with aerial obstacle courses, trapezes, zip-wires and other instruments of torture. After a minimal preliminary instruction, in French of course, but demonstrated in English by Ian, we donned harnesses with carabiners and zip-wire attachments, and our band of intrepid adventurers started out on the beginner's section just above ground level. We could see the course spiralling up to a dizzy fourth level high up in the tree tops. Believe it or not, I found one section on the beginner's stretch incredibly difficult. In essence, it resembled a 20m rope ladder loosely swinging in a horizontal fashion. The idea was to traverse it while hanging on to a wire swung above it at chest height. We spent a few hours gradually reaching the upper layers of the woods, acquiring tired limbs, cuts and bruises on the way. It was indeed a fairly strenuous exercise, and my upper body strength was flagging at the end of the third level. At this point Niall and I decided to call it a day, with just Ian and Tom managing the fourth level; a masochistic pair. We rounded off with a delicious picnic before heading back to base. On our return trip, appreciable winds were bending the trees en route accompanied by the occasional spat of rain. Would flying be on tonight? No, the elements were against us again. We were woken by torrential rains and gusty winds, so a morning flight was off. There is a lot of hanging about in this sport, in more ways than one. Again another leisurely breakfast of cereals, bread, cheeses, jams and fruit followed by a chill out session where folks caught up on note writing, reading, chatting and in some cases sleeping. To break the monotony, we all headed to Gamling's Restaurant for a hearty lunch. That guy must be in seventh heaven when he sees us turning up. After a brief food shopping excursion in Jarny, we headed back to base. Flying conditions were now looking more favourable, and in the evening we were led down to a field just south of Doncourt-aux-Templiers. The reason for heading down to this launch area was purely because it offered a more favourable flight with the wind conditions at the time. 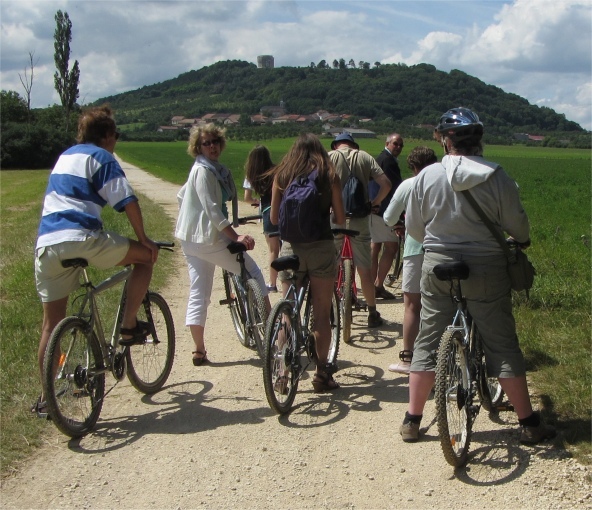 Our guide was a local farmer who owned the field behind Au Coin des Jardins. 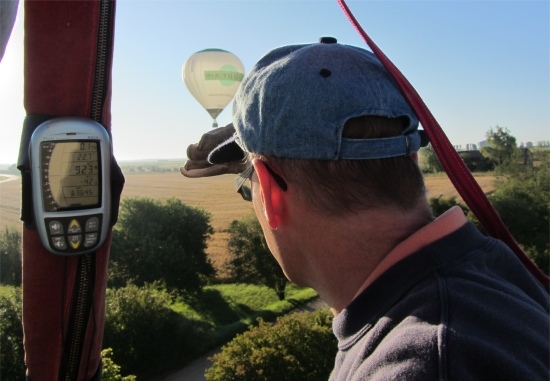 We wanted to cultivate an interest in ballooning with the farmer so that we could use his field as a launch site in the future. Tonight, he would be flying as a guest in Ian's balloon. As Tony drove his Landrover and balloon trailer to this launch site, he commented that he experienced some physical resistance to our journey. Indeed, he asked for the trailer handbrake to be checked in case it had been accidentally left on. No, it hadn't. We arrived at a fair sized grass field, with an awkward ditch to negotiate before we could get clear access to a large enough take-off area. It was while judging how to cross the ditch that Niall noticed heat emanating from the trailer nearside wheel. Further investigation showed the actual oil in the bearing was boiling with tenuous tendrils of smoke wafting from it. We concluded the brake had been seized on for the whole length of the journey. A method was found for unseizing the brake via the cable mechanism, but exactly what was causing the seizing needed to be investigated once back in the UK. The launch was fairly standard, with Tom, the Pilot Under Test, issuing all the instructions to get the balloon laid out, cold inflated and finally launched. Tony accompanied Tom during the flight as a qualified instructor, while Niall, Liz, Philippa and I followed up as retrieve. It was a glorious, sunny evening, but sadly not quite a balloonist's sky. The wind dropped almost to a dead calm, and the sun was tilting towards the horizon fairly rapidly. Both "Crusader" and "Elmer" balloons had to eventually call it a day near the road heading across to Jonville-en-Wo�vre since they were getting nowhere fast, and they picked up fields to land in containing stubble with no animals, near Le Bouverot. "Crusader" was proving to be a huge attraction to a herd of cows in the adjacent field, which constantly galloped towards the balloon, and then galloped away as Tom turned on the cow-burner (a setting on the main burners which creates a large rumbling flame that scares cows away). We drove across the field to greet the intrepid pair, and earnestly set about deflating the balloon and packing it away since a farm-hand was steadily ploughing the field and closing in on our position. A glass of bubbly rounded off the flight superbly. By all accounts, Tom had flown well during the short but sweet flight. 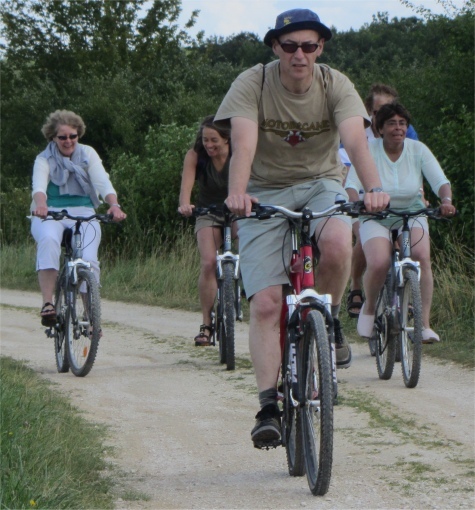 We arose at 05:45, and soon we were speeding along narrow country lanes towards Chambley-Bussi�res Air Base. This was the same airfield that I had flown from a few times during the Metz Balloon Meet that I attended in 2007. It was exhilarating driving through cornfields shrouded in a veil of slate grey in the pre-dawn, with wisps of mist welling up from the seas of mists flooding the valleys. I just adore this time of day; the early morning light over an unspoilt landscape is perfect. As we approached the airfield, the sun lazily plopped onto the horizon before beginning its slow, steady climb into the heavens. Parking close to the Wadey's balloon, we quickly erected "Crusader" and even though mists were still lingering in the deeps, Niall reckoned they would soon burn off in the warming sunshine, and we opted to take off. Tom, Niall and I left terra firma behind us at 07:15. In the light airs, Tom, who was under instruction, pottered around the airfield for a while. The balloon travelled in one direction when it was grazing the grass below, and headed in the opposite direction at a height of 50 feet. After a few backwards and forwards hops, we climbed high and started to head in the general direction of Pareid. It was a cracking morning, a sheer delight to be drifting across a seemingly endless landscape of golden cornfields interspersed with lush woods, and an array of small lakes at Lachauss�e. Ian's balloon hovered close behind, and in the far distance another balloon sat high above the horizon. Slight discolourations of the crops betrayed a gas pipeline that snaked below ground into the smudgy distance, and narrow tracks through the corm marked where perhaps a deer had crossed the crops. Towards Jonville, Ian appeared to do a crash dive near the town before levelling out at perhaps 50 feet. 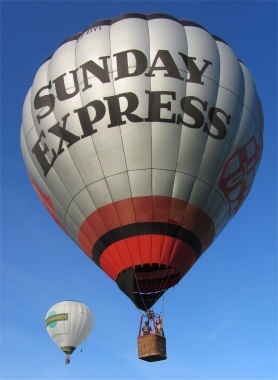 Was this to wind up the local mayor who has not taken too kindly to balloonists in the past? Gas was running low, so Niall suggested we drop down into a field just past Jonville in order to replace one of the now empty gas bottles, and I could do an intermediary swap over with Liz. Once landed in a piece of scrub land, I walked up a track to meet Tony and Liz parked by the road, and Tony and I carried a full gas bottle down to the balloon and swapped it for the empty one. Then with Liz suitable ensconced, the trio took off into the deep blue skies. Tony and I tracked them, narrowly avoiding a speeding truck that rounded a blind bend; emergency stops all round for that heart-stopping moment. 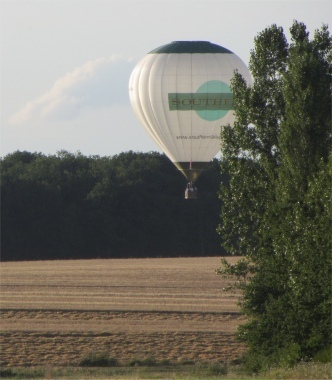 The intrepid balloonists landed just past Butgn�ville in a grass field with open access; what more could we ask for. The retrieve was simple and efficient, aptly followed by a glass of bubbly - a splendid morning's flying. After a simple lunch, some folk went off to refill the gas bottles. The rest of the team chilled out in the sun, reading books and chin-wagged. The evening was forecast to be grim with thunderstorms, so after a democratic meeting, we all agreed to have a final meal out together in France at Vivaldi's in Jarny. The meal was splendid, but I found my mind troubled; drifting closer to home. I must have seemed remote to the company around me; nothing new there then. My youngest daughter, who had announced her engagement to Ross shortly before my departure for France, had decided to educate my grandson in the town where she would be living, a sensible option I thought. However, the wee lad's biological father was expressing his desire for Oliver to be educated in the town where he lived, which led onto other silly and rather pointless requests. My view was that Oliver should be educated where he would be living, instead of spending two hours or so commuting each day in order to appease his dad, and if necessary, let the courts resolve the matter. The matter will be compounded if Ross, who is in the army, gets posted further afield, and Katie and Oliver move with him. The whole setup was playing on my mind. But, returning to our evening, it was most enjoyable; a good time had by all. I looked out onto the world at 05:30 to find trees waving wildly. Niall, (who with Liz had moved out of Au Coin des Jardins to separate accommodation nearby because of a double-booking problem) distributed a text at 06:30, advising that a morning flight be aborted. This was perhaps not a bad thing considering we all had to pack and undertake 6 hour car journeys. We enjoyed a final breakfast at Pareid, and said our farewells to Niall, Liz and Tom, who were having to return to the UK today. The Wadey team set off to Velen, near Borken, with a slight detour planned to D�sseldorf airport in order to collect Gunner, another crew member. Tony, Philippa and I drove the short distance to Jarny to buy a stock of French wine, before tackling the long drag up through Luxembourg to Velen.